LionsDeal > Catering & Buffet Supplies > Platters and Serving Displays > Metal Serving Platters >< Metal Platters & Trays > Winco HPR-10 Stainless Steel Round Display Tray, 10 1/4"
Winco HPR-10 Stainless Steel Round Display Tray, 10 1/4"
Use the Winco HPR-10 Stainless Steel Round Display Tray, 10 1/4" to serve salad, chips, and much more. 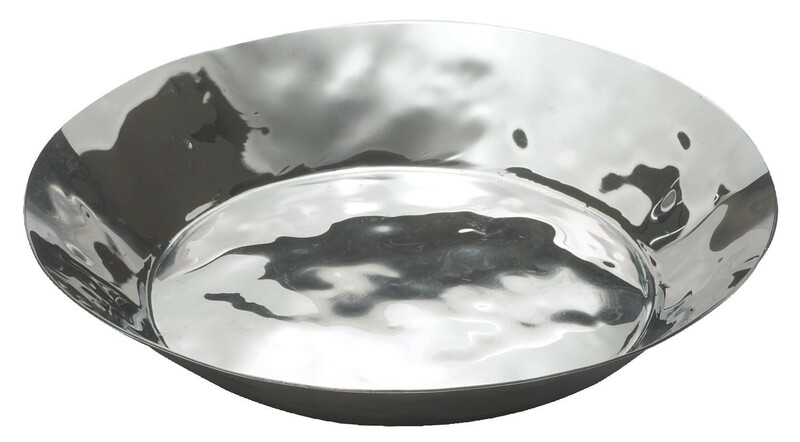 This tray has a deep bowl design and attractive mirror finish that makes it a stylish and practical serving tool. Made of highly durable stainless steel, this tray is non-corrosive and rust-resistant. Use this sturdy serving dish in your restaurant or hotel to add a touch of elegance to your food presentation. Bon Chef 20679058P Queen Anne Pedestal Platter, Pewter Glo 13" Dia.